Rachel Dolezal was a respected and well-known civil rights activist. She was chapter president of the National Association for the Advancement of Colored People (NAACP) and fought successfully for the rights of Afro-Americans. She was Africana Studies professor at the Eastern Washington University and she is black. Or not? Suddenly Rachel Dolezal´s whole existence was questioned when her parents who have not seen their daughter in years, revealed that she was not of Afro-American descent despite her self-identification as black. She got under massive fire, resigned her post at NAACP while her name and profile were removed from the Eastern Washington University´s website. If it´s possible to identify with a different class, country, religion or even gender why is is not possible to identify with a different ethnicity? If equality is what you are fighting for – isn´t it ironic to argue about racial affiliation? The case shows how loaded the subject of racial identification still is. Especially in America where you have to specify your race on any official document from the cradle to the grave. There is an obsession about letting our origin determine our being and it shows how outdated and dubious the concept of race has become in an increasingly multicultural country as the United States. Nevertheless it is one of the most sensitive issues in American life because it comes with a long list of painful experiences. Seeing it from the point that the understanding of identity is based on lived experiences, one could argue that as a white woman Dolezal cannot know what it is like to have black skin. To face presumed criminality, interpersonal rejection or systematic discrimination. The Guardian argues that with „claiming to be black, she is claiming someone else´s pain for herself“. It also surely weighs heavy that Rachel Dolezal has the privilege to choose a racial identity while black people don´t. The accusation of fraud comes into play if Dolezal, due to her choice, got the chance of scholarships and offices that black people have fought a painful and long battle for. 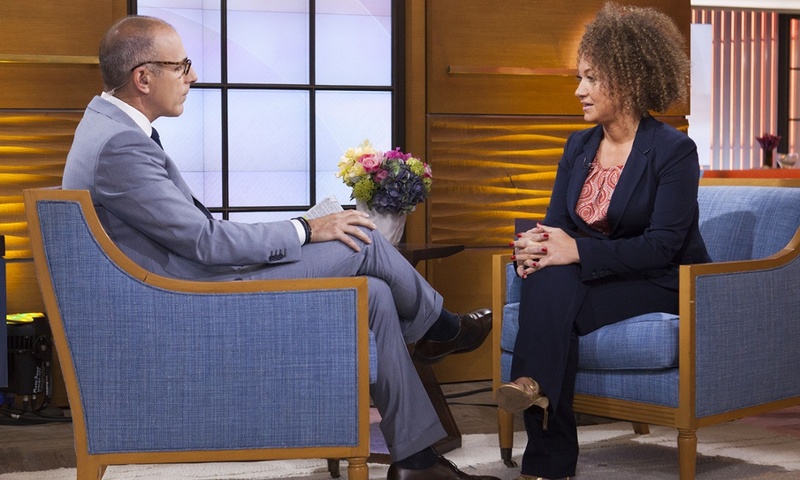 Rachel Dolezal’s way of self-identification is confusing because it´s new. It shows that we still have a long way to go.